Ingrown hairs develop when hair becomes trapped underneath the skin or grows back into the skin after shaving. Did you know that when a hair is under the skin, your body doesn’t see a difference between that hair and a splinter? Your body will fight it like a foreign object, which can lead to infection, resulting in painful and inflamed skin. If the problem is left untreated, you can even end up with unsightly scar tissue! For those who suffer from ingrown hairs, the experience can cause discomfort and even a decline in self-confidence. 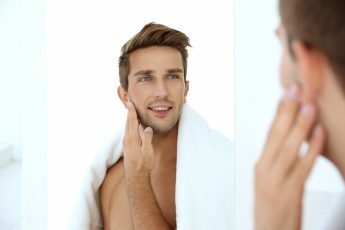 However, there are ways to prevent ingrown hairs and they are related to two very important personal shaving practices: using sharp blades and proper lubrication. Here is the rundown on how to improve your shaving techniques if you want to prevent ingrown hairs. If we had to choose the #1 rule for safe shaving to prevent ingrown hairs, we’d say avoid using dull blades at ALL costs. Unfortunately, most blades are not made from good quality steel, which is why so many become dull even after one or two uses. The general rule of thumb is if the blade’s appearance changes and it no longer looks new, it is time to replace it! If you really want to prevent ingrown hairs, never EVER use a dull blade. 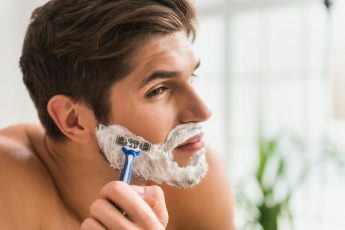 Since dull blades take more pressure for the same shave, they drag against the skin, causing irritation, and irritated skin is the perfect environment for ingrown hairs and infection. Indeed, as the skin swells from the irritation, it is more likely to trap individual hairs below its surface. Dull blades also tend to cut the hairs unevenly, resulting in jagged edges, which poke back into skin and become ingrown.By now it should be clear you need to throw out those dull razors and buy some fresh ones if you want to prevent ingrown hairs! The 2nd most important rule of safe shaving is to lubricate properly! 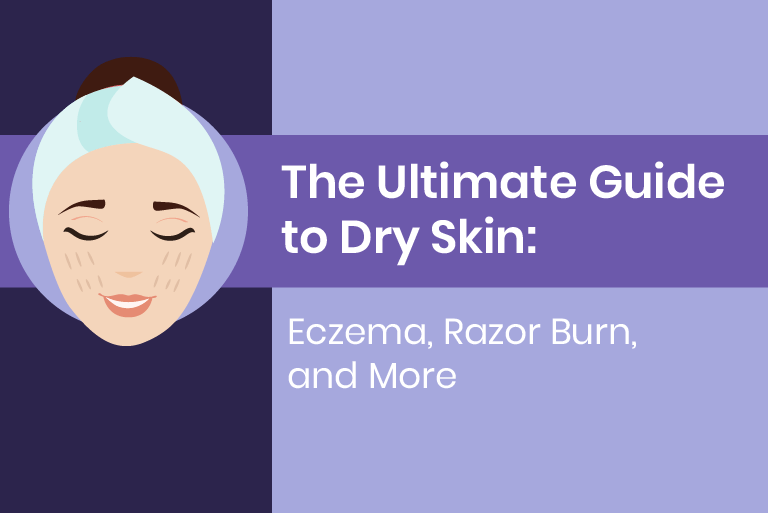 A lubricating product will soften and moisturize the skin, making it much easier to shave. For the best results, avoid harsh, soap-based lubricants like shaving foams. Often, these soap-based products remove the skin’s natural oils, which results in a more difficult shave as the blade struggles and scrapes against the skin. 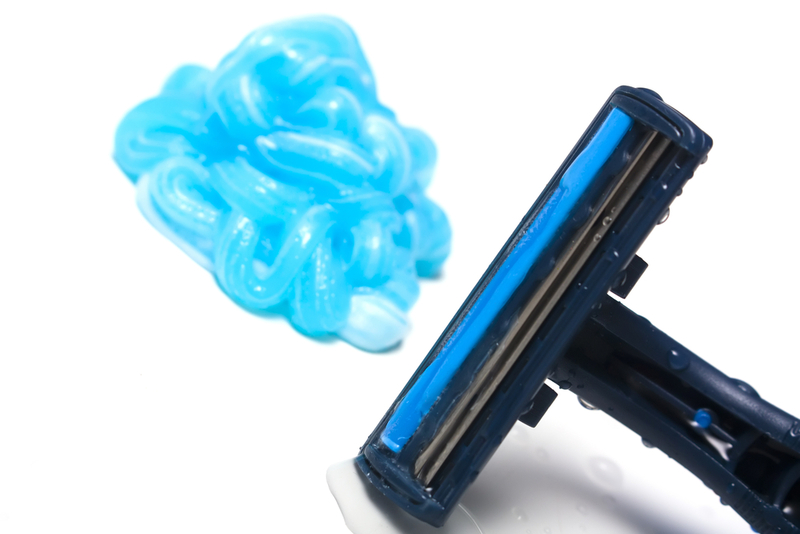 For a healthier shaving experience, try a silicone-based lubricant instead. A silicon-based product helps the razor glide smoothly across the skin, working with it and not against it. That way you cut the hair and not your delicate skin! When it comes to personal shaving practices, using sharp blades in addition to silicone-based products can help to prevent ingrown hairs. Yes, these simple changes will make all the difference!